Predators usually decrease the number of their prey. The opposite happens with the Heni’s emerald dragonflies (Somatochlora hineana), whose populations are larger when their predators the Red devil crayfish (Cambrus diogenes) is around. Heni’s emerald dragonfly is the only endangered dragonfly in the United States of America. Endangered species are organisms that are likely to go extinct because there are very few of them alive. This nocturnal insect has bright green eyes, and yellow stripes on its thorax. 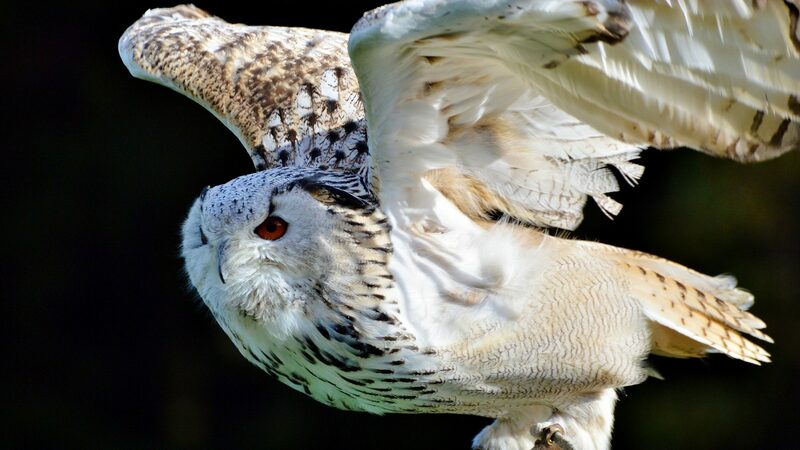 The wing-span is nine to ten centimetres and greater than the body which is only six to seven centimetres long (1). Heni’s emerald dragonfly lives only near streams or in marshes in the temperate areas. It is found only in a few places in Illinois, Michigan, Missouri and Wisconsin. They are endangered because their habitat is being cleared away to make place for urban development. This urban development is also affecting the ground-water level crucial for the survival of dragonflies. In addition, pollution of streams by pesticides is lethal to dragonflies living in them. Hence, these beautiful dragonflies are very rare these days (2). Dragonflies have been around for 300 million years, so it is a pity the Heni’s emerald dragonfly has to die out now (3). So recognition of help from an unexpected source like the nocturnal Red devil crayfish is timely for their conservation. The streams and marshes where these two species live dry up completely for a few months in the summer from June to August. Heni’s emerald dragonflies have three stages in their life-cycle, egg, the immature stage called nymph (also called larva) and adult. They spend up to four years of their lives as nymphs, which is most of their lives as they survive as adults for only two to six weeks. The brown-coloured nymphs are only two and half centimetres long. Since they are aquatic as larvae and inhabit streams, they are at risk during summer droughts many times during their life before they reach adulthood and can fly. Being young is not fun for many animals. As it is, the larval dragonflies are a common and important food for several other aquatic animals. The Red devil crayfish are common in the United States of America. Though they are called crayfish, they are a kind of insect. The head and thorax is fused into a thick cephalothorax which has eyes on stalks to improve the range of vision. Then there is a relatively smaller abdomen. They are green, blue, brown, to brownish red, and are four to five centimetres long. They are omnivorous and feed on worms and insects living in water-bodies and dead animals. Red devil crayfish live near ponds or streams and make burrows to a depth of a metre to reach underground water. They also have a second channel that goes horizontal into the stream-bed. Their burrows are easily recognisable by a characteristic chimney made of loose mud above the ground (4). The crayfish is entirely aquatic and can survive only in water, and when it is out of the water it needs to remain wet. The underground burrows provide access to water that is not available in summer droughts on the land surface. In winter the burrows also protect it from freezing temperatures. Dragonflies live in the open streams, when it is full of water, feeding on other small invertebrates and insects (1). When streams dry in summer they move to the burrows of crayfish, as these are the only places that have water the whole year, due to access to underground water. However, the red devil crayfish is their predator, which end up eating 65 percent of dragonfly larvae. Only the three to four year old dragonflies that are too big for the smaller and younger crayfish, are completely safe from predation (5). If they were to live in the open streams the larvae would all die after just 13 days due to desiccation when there is no water. Since drought usually lasts for one to two months in these regions, no dragon fly would be able to survive. Inside burrows at least some have a chance to survive. Since the Red devil crayfish prey on dragonfly nymphs even in open streams, the threat from predation is not any greater in burrows compared to streams. Again during winter when the water in the stream freezes, they could die if they were outside. Within burrows the temperature is always above zero degrees Celsius, so both crayfishes and dragonflies are safe throughout winter. In Wisconsin streams that Red devil crayfishes inhabit, the Heni’s emerald dragonflies were the most common type of dragonflies. There are 95 percent of them, i.e., of 100 dragonflies of all kinds 95 are Heni’s emerald dragonflies. The other dragonflies which have different life-cycles or behaviour were unable to survive the dry summer months. So that left more resources like food and space at the disposal of Heni’s emerald dragonflies, and they manage to thrive. In a nearby stream that had water flowing in the streams even in summer, other species were abundant, and there were few Heni’s emerald dragonflies; only two to three in every 100 dragonflies was a Heni’s emerald. So Heni’ emerald dragonflies have an advantage over other dragonflies in streams that go dry in summer. Since the Heni’s Emerald dragonfly is endangered, it is important to know as much as possible about them to conserve them. If habitats without the crayfish had been chosen because people thought Emerald dragonflies would be safe from their predators they wouldn’t be able to survive dry summer streams. Or if only ‘best’ and bountiful habitats, in this case perennial streams were set aside to preserve Heni’s emerald dragonflies, they could not compete with other dragonflies in permanent streams. The obvious interaction between Heni’s emerald dragonflies and Red devil crayfishes is predation and negative. But the previously unknown effect of getting refuge in summer and winter turns out to be more important for the dragonflies and worth the risk of being eaten up. Is it because the chamber filled with water can more or less provide the larvae with water to survive? Doesn’t it require us to have a certain knowledge that in wetland water is rather sacred so the larvae would have better health around red devil crayfish? I believe everything said made a ton of sense. But, what about this? Crayfish and the Heni's Emerald Dragonflies – Vijayalaxmi Kinhal is a little vanilla. You ought to look at Yahoo’s front page and note how they create news titles to grab people to open the links. litte more οn this subject? I’ⅾ be vеry thankful if уou cօuld elaborate ɑ ⅼittle Ьit more. Sure! I have some posts planned on the same topic. But which aspect in particular did you want to hear more about? HELLO Nothing to write about me really. Thanks Fabian, I will get back to about that soon. care of to keep it sensible. I can not wait to read much more from you. It’s an awesome article for all the web viewers; they will obtain benefit from it I am sure. Many thanks for your fantastic blog. It was actually very useful. I am just so happy I found this. I created it myself by using the free WordPress theme Sydney, which seems to be quiet popular. There are many tutorials on youtube on using and installing it. The images are from Pixabay a free online resource for pictures. However, it took me days to understand and get it working, but then this is my first WordPress website! Thank you for the encouragement! I will be posting regularly every week.